Across America, cities are investing in the public realm through the development of new parks and public spaces. Nearly half of RBA winners include a park or open space, and more than 20%, including 2017 Silver Medalist Chicago Riverwalk, comprise waterfronts. As manufacturing and shipping has shifted away from urban cores and interest in urban living has grown, cities are reclaiming and transforming land once used for commerce and production into dynamic public places. In the process, they are creating valuable new amenities that provide access to fresh air and the outdoors along with a variety of programming and recreational activities that contribute to quality of life, economic competitiveness, and civic pride. 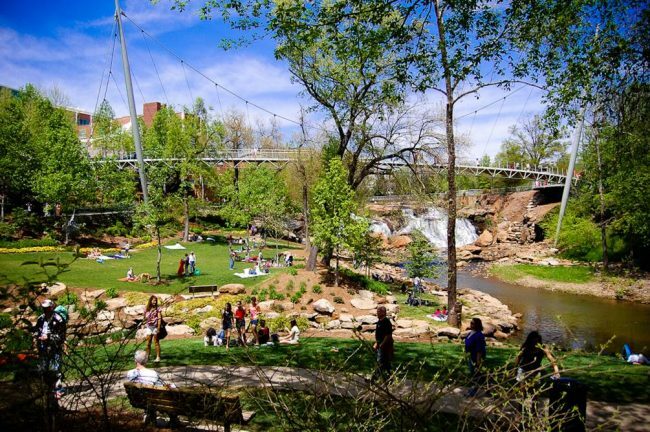 Nestled in the foothills of the Blue Ridge Mountains, Greenville, South Carolina, is consistently rated as one of the best places to live in America and included in the New York Times’ “52 Places to Go in the World in 2017.” Chief among its draws is this seminal park, the reclamation of a forgotten waterfall and overgrown river valley into a 26-acre urban oasis running through the heart of downtown. First proposed in 1907 as part of a broader civic vision, the park was finally realized in 2004 by the City of Greenville in collaboration with the local garden club and community leaders. A four-lane vehicular bridge built directly over the waterfall was replaced with an elegant pedestrian suspension bridge that provides a dramatic overlook of the river and falls. This Phoenix park resulted from a close collaboration between Arizona State University and the city as part of a broader vision to expand university facilities and revitalize downtown. 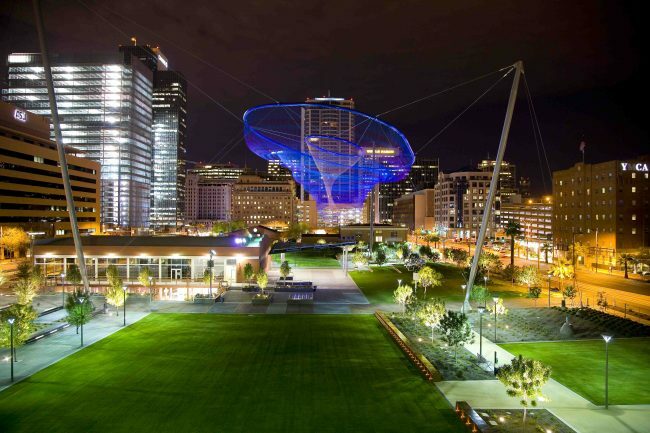 Opened in 2009, the 2.7-acre site integrates a large public sculpture by artist Janel Echelman, light rail and bus transit, and commercial mixed-use development and has become a popular spot for small and large gatherings. 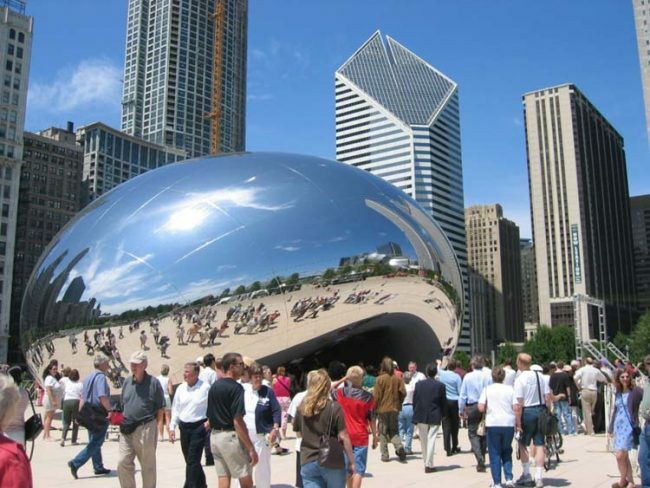 Developed by the City of Chicago with substantial private support, this park comprises the redevelopment of underused land along Michigan Avenue in the downtown area into a 24.5-acre park with performance venues, open space, and public art. 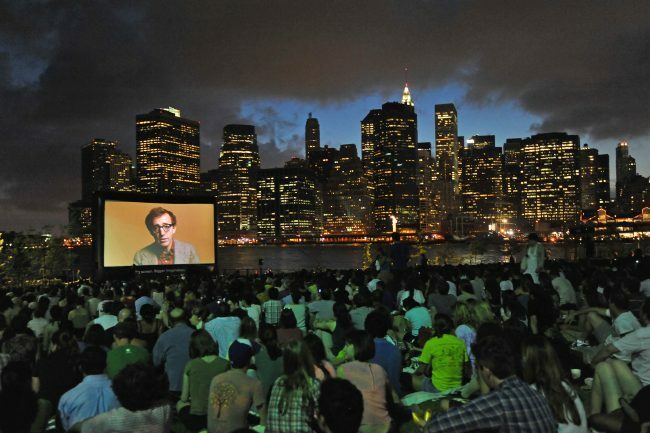 The park includes 12 art and architecture installations including commissions from world-renowned artists, and multiple theaters and stages offering over 500 free cultural programs annually. Development in downtown Denver is booming, in no small part because of its proximity to abundant recreational opportunities. 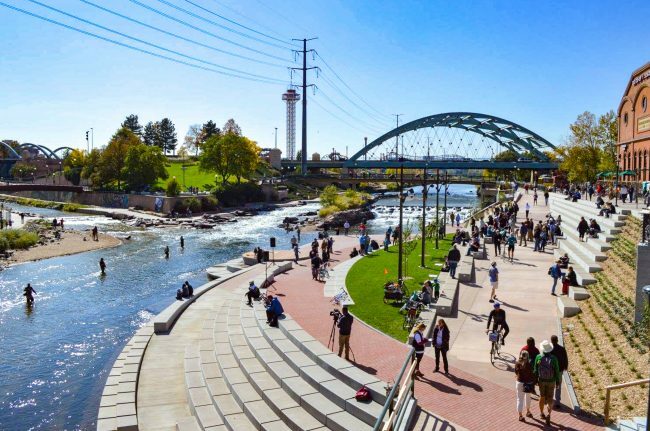 Passing through downtown Denver, this greenway encompasses more than 67 miles of recreational land and interconnected parks with adjoining neighborhoods. Since 1974, the Greenway Foundation has led the ecological restoration of the formerly polluted river and the creation of new riverfront trails, whitewater boat chutes, and parks, contributing more than $10 billion in new residential and commercial development. This year marks the completion of the renovated Shoemaker Plaza at Confluence Park (pictured above), the centerpiece of the Greenway. While all of these projects vary in approaches and scales, each creates a new public realm where none previously existed, reflecting the unique character and culture of their cities. Together, they offer powerful narratives of community leadership that worked collaboratively over time to forge a bold vision, secure the political will, and assemble the financial resources–including significant public investment—necessary to realize them. Interesting in learning more? Check out Returning to the River – Reclaiming American Waterfronts for the Public Realm which explores how three RBA winners—Falls Park on the Reedy, Providence River Relocation, and Chicago Riverwalk—helped the cities of Greenville (SC), Providence (RI), and Chicago rediscover, reclaim, and reconnect to their waterfronts. Stay tuned for our next post on public markets and food.